Discover the history and origin of your English Family surname history with these fun entertaining and easy to read mini books. Authored by our very own experienced journalist/historian these books describe the origins of your family name in a light hearted and informative fashion. Presents for all the English family. 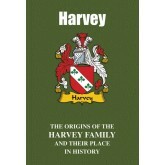 A name of truly martial roots that derives from a term meaning ‘battle-worthy’, ‘Harvey’ has figured prominently in the historical record from earliest times. While some of its bearers have achieved fame in endeavours ranging from medicine to literature, others have gained acclaim in the worlds of acting, music and sport. In medicine, William Harvey was the English physician who, through a work published in 1628, was the first to accurately describe in detail the..
With the ancient blood of both Anglo-Saxons and Normans flowing through the veins of many bearers of the Hill name today, it figures prominently in the historical record of not only England but also in those of other nations. From the battlefield to more peaceful endeavours and pursuits that include social reform, business, art, the stage, sport and music, many have gained international renown. Read here the proud tale of the Hills, both past and present. ..
One of the most common surnames found in England, with a number of points of origin, ‘Hughes’ is nevertheless particularly identified with the ancient Celts of Wales. But it is not only in that nation that bearers of the name have entered the historical record, with many achieving honours and distinction through a diverse range of endeavours and pursuits. Read here their proud tale. ..
A name of ancient Anglo-Saxon roots, ‘Hunt’ and its spelling variants such as ‘Hunter’ has been present in the British isles from the earliest times. Although originally denoting someone who earned a living as a huntsman, later bearers of the name have gained fame through a diverse range of other endeavours and pursuits. In the world of film, Peter R. Hunt was the London-born film director and editor best known for his work on six of the James Bond films, includi.. Although now particularly identified with Wales, it is in England that the earliest records of the proud name of Jenkins appear. Many of its bearers have achieved renown at international level in the world of entertainment, while others have risen to prominence in other endeavours and pursuits ranging from sport to politics. Born in the small Welsh village of Pontrhydyfen in 1925, Richard Walter Jenkins was the award-winning actor better known by his stage name of Ric..
From the bloody fields of battle to the worlds of architecture, the stage, music, sport and literature, bearers of the Jones name have stamped an indelible mark on the historical record. A name of original Biblical roots, it has been present in the British Isles from the earliest times and, although particularly identified with Wales, is the second most popular surname found in England today. 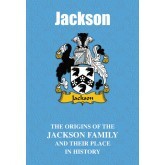 Shot through with high drama, their proud tale is recounted here. ..
With roots buried deep in the Anglo-Saxon past, ‘King’ is a name that figures prominently in the historical record. While some of its bearers became embroiled in bitter and bloody warfare, others have gained distinction through a range of more peaceful pursuits and endeavours that include the sciences, medicine, civil rights, music and the stage. The colourful tale of the Kings, past and present, is told here. 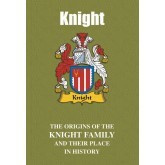 King Family Name Mini-Book Excerpt "One particularly infam..
A name of ancient Anglo-Saxon roots and one redolent of martial valour and chivalry, ‘Knight’ features prominently in the historical record. While some of the name gained fame on the battlefield, others have achieved acclaim at international level through a colourful and diverse range of other endeavours. Ranked at the time of writing as the 47th richest person in the world, Phil Knight, born in Oregon in 1938, is the American entrepreneur who in 1969 co-founded ..
A name that became popular throughout the British Isles in the wake of the key historical event of the Norman Conquest of 1066, ‘Lee’ features prominently in the historical record. 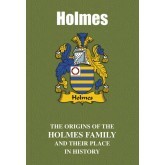 Many have gained fame and acclaim through endeavours and pursuits that most notably include politics and literature. Read here their colourful saga. Lee Family Name Mini-Book Excerpt "One particularly notable bearer of the proud name of Lee is Nelle Harper Lee, better known as Harper Lee. B..